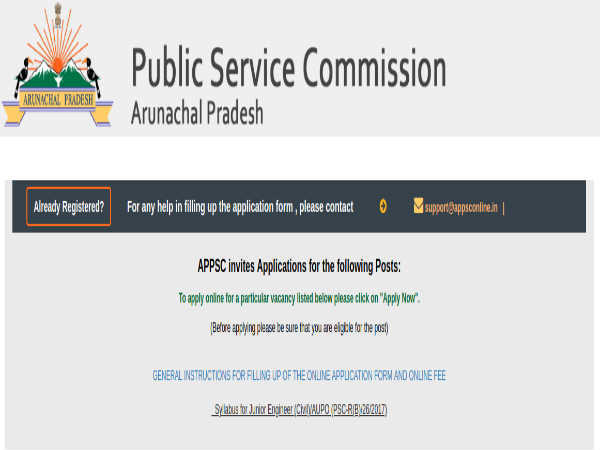 Uttar Pradesh Public Service Commission is hiring candidates for the posts of Assistant Government Conveyancer, Economics and Statistical Officer, Research Officer, Vetting Officer, Sangrahalayadhyaksha, Director Reservation, Tribal Officer, Assistant Geophysicist, Allopathic Medical Officer, Professor, Medical Officer, Reader, Hydrologist, Research Officer, Assistant Director and Regional Tourist. After the first stage of online application, applicants must deposit a fee of in the bank in order to apply. If the candidates do not pay the fee before the deadline, their online applications will be duly rejected. It is also important to note that the exam fee will not be refunded under any circumstances. Applicants need to make sure that all the claims mentioned in the application form are correct lest they may be debarred from further applications. On the home page, under Important Alerts, click on the application link for the relevant post. The list of recruitments will open. Click Apply against the recruitment you want to apply for. The list of posts to apply will be displayed on the screen. Click Registration against the post you want to apply for. Answer the question about application and follow the subsequent pages to complete the application process. Follow the link - http://uppsc.up.nic.in/ADVT_PDFFILE/PDF_ADVT_English_531.pdf to read the detailed official notification.